TOKYO, Jan 18, 2018 - (JCN Newswire) - Honda Motor Co., Ltd. today announced that the Honda Walking Assist Device(1), an assistive device for use in the training and rehabilitation of walking, has obtained the Medical Devices Directive (Council Directive 93/42/EEC) certification, which enables Honda to affix the CE marking and commercialize the device within the European Union (EU) countries. Conformity with EU standards (EU Directives) and affixing the CE marking on the product, a certification mark that indicates conformity with EU standards, are mandatory in order to distribute and sell the product in EU countries. Various products including machinery, electrical equipment designed for use within certain voltage limits (low voltage) and toys are subject to EU directives, and the Medical Devices Directive (MDD) sets harmonized standards for medical devices, and conformity with the Directive certifies the manufacturer to affix the CE marking on a product. The Honda Walking Assist Device obtained an MDD approval and CE marking as a medical device which comply with standards mandated by the MDD, enabling Honda to apply the CE marking on the Walking Assist Device. 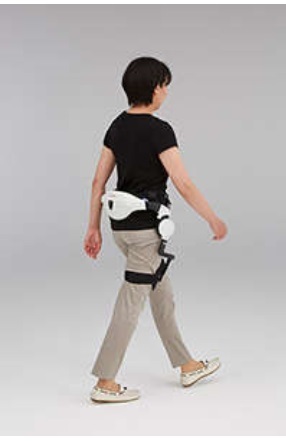 Moreover, the Honda Walking Assist Device became the first case of MDD approval that was obtained through a cooperative approach between the Japan Quality Assurance Organization (JQA), a Japan-based third-party ISO certification organization, and TUV Nord Cert GmbH(2), a German-based third-party certification organization, which leveraged assessment and certification based on the ISO 13482 certification(3) that the Honda Walking Assist Device had already obtained. With this MDD approval, Honda today (on January 18, 2018) received the MDD certificate from TUV Nord Cert GmbH in the presence of the JQA. While continuing its research and development efforts since 1999, Honda began lease sales of the Honda Walking Assist Device in November 2015 to organizations and businesses in Japan as an assistive device for use in the training of walking. As of today, the Honda Walking Assist Device is being used at approximately 250 facilities throughout Japan to assist training of walking and measure walking capability. (1) The Honda Walking Assist Device is a device designed for the purpose of assisting the person who wears it in walking rehabilitation. In Japan, it is not approved as medical equipment designed for the purpose of diagnosing, treating or preventing a disorder of the user. (2) TUV Nord Cert GmbH is an international third-party certification organization headquartered in Hannover, Germany. TUV Nord Cert GmbH operates in approximately 70 countries and regions around the world. (3) The International Organization for Standardization (ISO) issued ISO 13482 in 2014 as the only international safety standard for personal care robots (living-support robot) in the world. 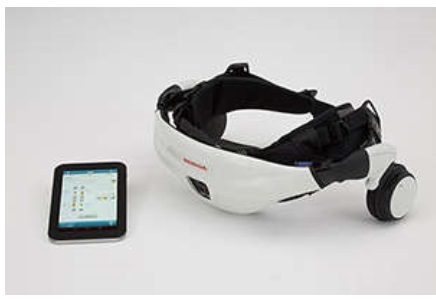 The Honda Walking Assist Device obtained the ISO 13482 certificate in October 2015.